Mark Davis has gone back to his native South Africa to recruit the experienced names which he believes could make Sussex challengers across all formats this season. 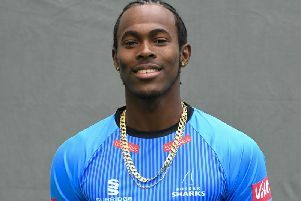 But he is still happy to give youngsters their head again after George Garton, Jofra Archer and Stuart Whittingham were all given opportunities last season. Sussex have recruited South African all-rounders Stiaan van Zyl and David Wiese – who spent two months with the club in 2016 – under the Kolpak ruling, while fast bowler Vernon Philander will be with them for the first part of the summer. “We were lacking in certain skill sets and we think with our recruitment we have addressed that,” said Davis, who is starting his second year in charge. “We wanted players who can play in all formats. We have done that with Stiaan, David and Laurie Evans, who we’ve signed from Warwickshire. “We wanted to improve our white-ball cricket and those three will help us, as will Philander for the Royal London One-Day Cup and Ross Taylor in the NatWest T20 Blast. Davis makes no excuse for going down the Kolpak route. Between them, Whittington, Garton and Archer played 16 Championship games last season and they look like forming the bedrock of Sussex’s pace attack for years to come. But it is the emergence of 19-year-old Bermudan Delray Rawlins who is exciting Davis just as much. The left-hander was the star batsman on England under-19s tour of India earlier this winter, making two centuries and scores of 96 and 70. He can count Mark Ramprakash among his admirers, having only signed his first professional contract a few weeks ago. Davis said: “He went from being on the outside of our squad to getting a contract and being the stand-out player with England under-19s. The Sussex players reported back to Hove on Monday and will play their first outdoor practice over three days against Surrey next Wednesday.